In recognition of the 17th Anniversary of the September 11, 2001 attack on the United States that killed nearly 3,000 people in New York, Virginia and Pennsylvania, State Representative Deanne Mazzochi (R-Elmhurst) joined public officials, first responders and community members in Oak Brook Tuesday morning for a Commemoration Ceremony. The ceremony was held at the Village of Oak Brook’s Butler Government Center. 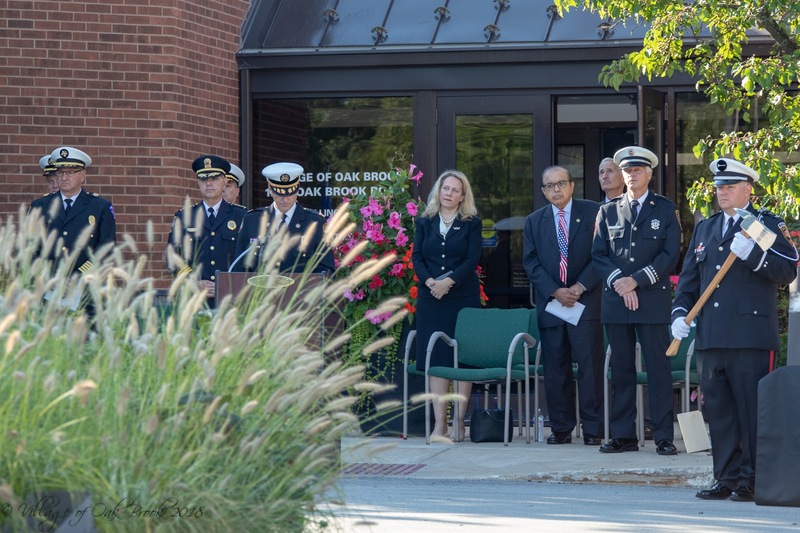 In addition to remarks delivered by Oak Brook Village President Dr. Gopal Lalalani, Fire Chief Barry Liss and Mazzochi, those in attendance participated in a moment of silence.